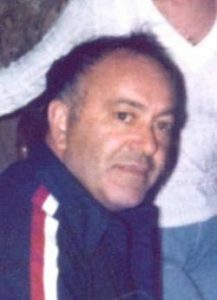 Shrewsbury – Angelo M. DiVerdi, 90, of Shrewsbury, passed away peacefully Sunday, June 19, 2016, surrounded by his loving family, at the Lutheran Home. Angelo’s wife of 58 years, Camella A. (Simone) DiVerdi, passed away Jan. 30, 2011. He is survived by two daughters, Angela Payne and her husband William of Richmond, Va. and Sandra Miller of Shrewsbury; a sister, Isabella Covello of Worcester; four grandchildren, Ashton and Erik, Julia and Peyton; and many nieces and nephews. He was predeceased by two brothers, Rocco and Michael DiVerdi, and a sister, Mary Higgins. Angelo was born in Worcester, a son of the late Italian immigrants, Joseph and Angelina (Scuderi) DiVerdi. He graduated from Worcester Schools and later attended Clark University. Angelo was a real estate owner and property owner for 30 years, retiring in 1991. He lived in Worcester most of his life until he moved to Shrewsbury in 1966. Angelo was a member of Saint Anne’s Church, the Frohsinn Club, the former ITAM Club and the American Legion East Side Post 201. He loved going to Las Vegas and Florida. He enjoyed playing cards especially bridge, boating, was an excellent dancer, and loved taking care of his family and eating pastry. A period of calling hours will be held Thursday, June 23, from 9:30-11 a.m., followed by his funeral service at 11 a.m. in the Mercadante Funeral Home & Chapel, 370 Plantation St., Worcester. Burial will follow in Mountain View Cemetery of Shrewsbury. In lieu of flowers, memorial contributions can be made to St. Anne’s Thrift Shop and Food Pantry, 130 Boston Tpke., Shrewsbury MA 01545. To share your thoughts and memories of Angelo, visit his personal guestbook at www.mercadantefuneral.com.